For adult social security disability and SSI cases, age becomes a beneficial factor at specific age points. The Social Security Administration has special rules for claimants over the age of 50. Under the current medical-vocational rules (known as the “the grid” or “grids”), it becomes much easier to qualify for disability after you turn 50 years of age. Additionally, there is a better chance for a long term disability law firm to obtain an “on the record” (i.e. without a hearing) decision when a claimant is over 50 and can no longer do the sort of work he or she did in the past. If you are over 50 years old and are limited to unskilled sedentary work, Social Security will presume that you are unable to transition to other work due to your age. This can make a huge difference for your claim. A person limited to unskilled sedentary work may lose his or her disability claim at age 48, but will win it at age 50. There are some benefits to aging. 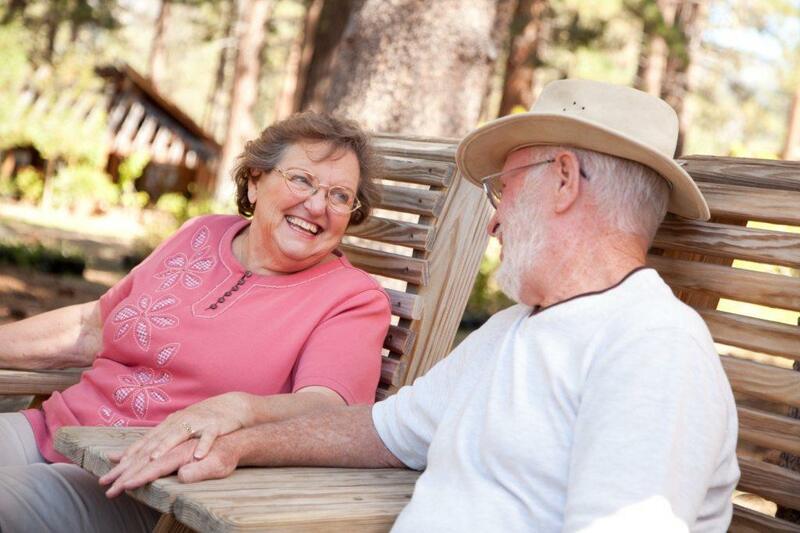 WIth Social Security Disability, it becomes easier again to qualify for disability after the age of 55. If you are limited to unskilled, light exertion work, someone over the age of 55 is presumed to be unable to transition to other work. Please do not worry if you don’t understand all of the nuances of the above rules regarding age and the type of work you do. 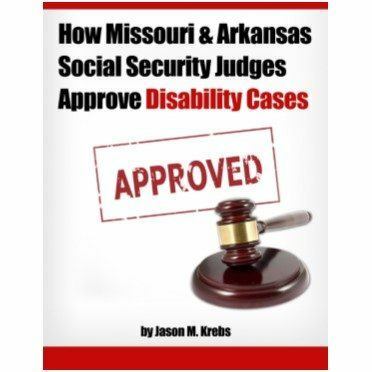 You can call The Krebs Law Firm to help plan and manage your Social Security Disability appeal. We are focused on obtaining the best benefits and financial awards for our clients and understand all of the details surrounding the Social Security disability process. You do not have to read though mountains of legal terms and wade through confusing government red tape at the same time you are battling an illness or injury. 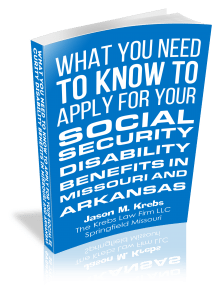 The Krebs Law Firm is The Social Security Disability firm in Springfield, MO and will take you through this process. Call us today if you have questions about how your how your age and disability are effected by your medical or mental conditions. The Krebs Law Firm LLC offers a free case evaluation if you have questions about your Social Security disability claim. 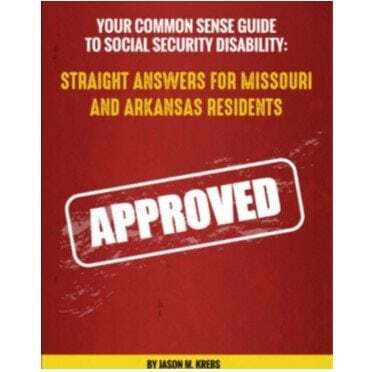 Many people may be worried that they do not have the money to pay for a Missouri disability lawyer or Northwest Arkansas Social Security disability lawyer, but we only handle Social Security cases on a contingent fee basis. In other words, there is no fee unless we are successful in getting you the benefits that you deserve. 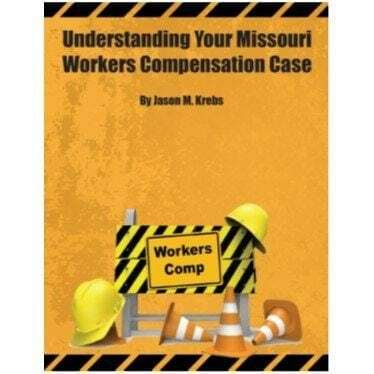 If you would like to speak to Jason Krebs and his staff simply call (417) 883-5886 for your free case evaluation or to discuss your appeal today! Do not delay as you only have 60 days to ask for a reconsideration if you live in Arkansas or Oklahoma and 60 days to ask for an appeal in Missouri.